D.T. 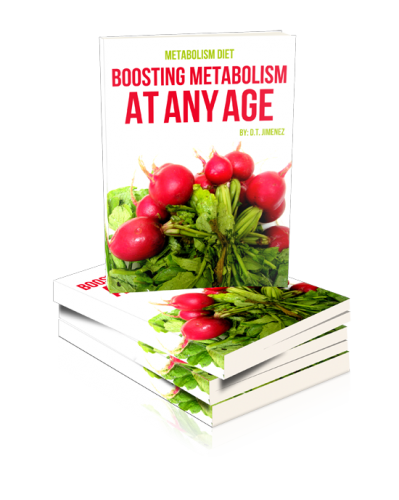 Jimenez, a personal trainer certified by the Copper Institute, has released his first book titled Metabolism Diet: Boosting Metabolism At Any Age. December 6, 2012 /MarketersMedia/ — The Healthy Metabolism Organization, a new organization dedicated to helping naturally end the obesity epidemic in the United States through healthier lifestyle living, announces the release of their first book today, December 5th, 2012. The book, titled “Metabolism Diet: Boosting Metabolism At Any Age”, is written by Daniel T. Jimenez. Jimenez has been working almost non-stop preparing his new book to be published for the past several months. Today, it can finally be purchased by the public for $7.99. “December is the perfect time to set your weight loss goals in motion,” said Jimenez. "By the time everyone is starting their new year’s resolution, you can boost your metabolism and be up to 25 pounds skinnier! That’s a running start to the ’New You.’"
Jimenez has substantial experience in the personal fitness industry. He is a certified personal trainer, accredited by the world-class Cooper Institute. The Cooper Institute was founded in 1970 by the “Father of Aerobics,” Kenneth H. Cooper, MD MPH and is dedicated to scientific research in the field of preventive medicine and public health and communicating the results of research to the scientific and medical communities as well as to the general public. In his new book, Jimenez has taken his experience and expertise as a personal trainer and has created a specific series of step-by-step techniques that readers can follow to live a substantially healthier lifestyle. Daniel T. Jimenez’s book, "Metabolism Diet: Boosting Metabolism At Any Age" is now available for sale through Amazon. Daniel is available for interview requests and to send review copies to media personnel.